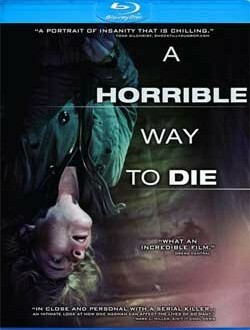 The next film in the unholy Hollywood trilogy comes from director William Friedkin, which incidentally celebrates its 45th anniversary in December, a film that still cares many, and leaves them wondering if the Demon/Satan won and the exorcism failed, well that question finds itself included as well as many others. Therefore, grab your holy water and rosary and let’s enter forth into the realm of darkness, frigid coldness, and head spinning delights to cause to you vomit, all over the spoilers in this article. As a point of reference, I listened to Waxwork’s release of The Exorcist during the writing of this article. 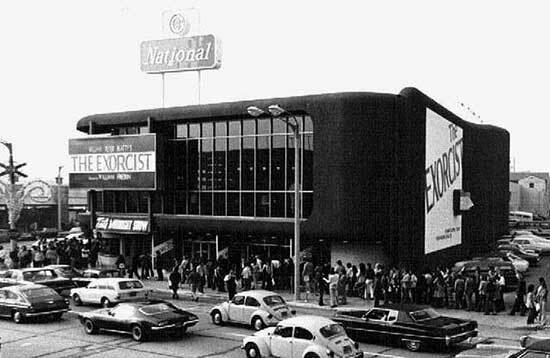 What is the 1973 movie ‘The Exorcist’ initially about? It primarily involves a 12-year-old girl name Regan MacNeil (portrayed by a relative unknown actress named Linda Blair) who begins to exhibit violent outbursts including public urination during a celebrity party (oh my). Her divorced mother Chris (Ellen Burstyn) does everything possible, with her money and influence to assist her daughter, taking her to the best doctors and hospitals for a series of medical tests and psychiatrists before asking Father Damian Karras (Jason Miller) for an exorcism. It is granted with Father Lankester Merrin (Max von Sydow) leading it, to battle the Demon. Was The Exorcist (1973) screenplay adapted from a book? Yes, a novel from American author William Peter Blatty, who also penned the film’s screenplay, he wrote the novel in 1971, in isolation, and from records of a real exorcism. 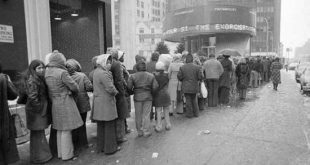 Was the movie “The Exorcist (1973)”, A real exorcism? Or just based upon story of event? This is where fact, fiction and religion all blur together, the initial tale involved a real exorcism of a 13-year-old boy named ‘R’ living in Cottage City, Maryland in 1949. Blatty learned of it through a news report, which cited a priest came to perform the ritual, since the boy didn’t respond to medical procedures or medications, which led to violent episodes and outbursts. The priest spent 2-months with the boy and claimed to witness the child speaking Latin (no experience to know the language) and moving objects. It started with an aunt first using and later giving a Ouija board to this boy and it turn I believe lead to mysterious evildoings, while the aunt died of natural causes, but in 1949 anything maybe listed as that (a fall down the stairs). A supposedly 26 people witness the actions of this boy, the home, the family and others of the exorcism, which led to books and films. 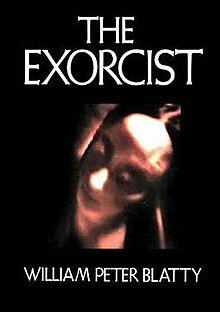 In fact, author and exorcist Father Malachi Martin who wrote Hostage to the Devil which later became a documentary film, noted a case resembling this tale of woe. Although journalist Mark Opsasnick researched the story after the film was released, and found conjecture about the incident, and the evidence prove the boy actually suffered from a form of mental illness and that the possession story came from the religious family. This avenue contains a portion of reality many individuals rather think or allow others to believe that a demon took possession of them than a mental illness as recently noted in the film Libera Nos (aka: Deliver US). Why is there scene in “The Exorcist (1973)” involving Iraq? Father Merrin discovers an idol during an excavation dig which some come to identify as an ancient demon, his reaction to it shows that he knows what it means, and later in the film we, the audience, see the significance of it too and finds a St. Christopher medallion. The demon, called Pazuzu, though never named in the film, though relates more in part two and in the prequels, involving another exorcism. This discovery represents many things, another looming battle of righteous versus wickedness and his abilities to combat the evil call on him to return the United States, however before leaving the epic standoff image of him facing larger statue of demon. A sound of buzzing lightly heard as the scene transitions to Georgetown, as the demon who has wings and escapes the confines of darkness and time to spread death, corruption, and evil conquests. This also, represents about twelve minutes on the screen versus a mere four pages, and loads a great deal of symbolism into their early shots. For example, the structures show in the background of Hatra, a place which suggests a worship to the Sun God. What is the significance of Father Merrin standing opposite of Large Demon Statue? This actually shows a few things and one often overlook, and perhaps never clearly noted before, The Demon statue stands to the left of the screen while Father Merrin to the right, hence noting the right hand of God, the righteous and the other opposition, evil. In addition, notice in the scene how both stand almost on an equal level (the earthly plane), if one was to superimpose the infamous inverted pentagram the points show the horns, evil and good in constant universal battle (over each of them), the below them not show directly to hell. Although, this echo in the sweltering heat, and the from the redness of the sky, supported further by the dogs fighting, a darker in color (representing evil) against a lighter color (representing the righteous). In the 1973 film “The Exorcist”, Who or What possess Regan and Why? The novel names the possession by Pazuzu in the Babylonian texts label as the demon of the wind and sickness/disease, while the film never clearly defines the name of it except during Father Karras’ interview when Regan states ‘The Devil’. As for the why, first demons strike out to the weak and sometimes the curious, first Regan is abandoned by her Father, from her life and on her birthday, her mother while caring for her, is more involved in her career. She plays with a Ouija board in the basement craft room, in the background of the room, a creation of hers appears as a combination of animals just as the statue of Pazuzu appears earlier, in addition, we learn of her invisible friend Captain Howdy. However, another possibility could fall into the grouping of her puberty, normally occurring at 11 (she’s 12), and thereby learning of desires. Although in the Producer’s cut of the film both Merrin and Karris discuss why the demon took control of Regan, as his way to destroy people’s belief system, in God. Why does the demon react to negatively to mere tap water? Some believe it’s a just an error in the script, and other determine more as a demon wanting a rematch with Merrin than with Karras, who already privately has a crisis of faith, as the demon mimics and taunts him with references to a homeless man or even his deceased mother’s voice. However, the demon sought to take ownership not only of Regan’s body but her soul, innocence corrupted, thereby attempting to trick him into believing it all was merely an act. 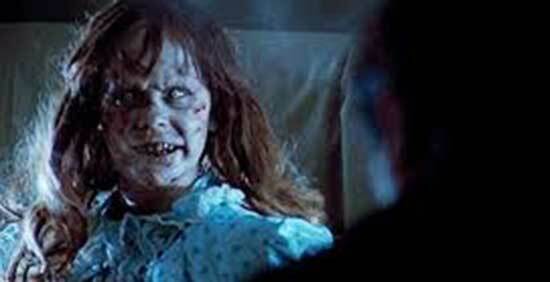 Was Linda Blair the first choice for the character of Reganin the movie “The Exorcist (1973)? No, it was actually Denise Nickerson (known for her role of Violet Beauregarde in Willy Wonka & the Chocolate Factory, however her parents’ objection to the script and content stopped that. Also, Anissa Jones, Pamelyn Ferdin well-known for roles in horror and sci-fi, too familiar to audiences, and likely ruins surprises for the viewers, and April Winchell withdrew for personal reasons. Meanwhile Linda’s mother adored the script, her agent at the time, never thought of Linda for the role, and other agencies sent over 2-dozen other actresses to consider for the role. As a side note, Marlon Brando had the studio’s attention for the role of Father Merrin, however Director Friedkin refused his involvement, not wanting his credits and ego to overshadow the actual picture. In addition, Jack Nicholson (though the thought of using him quickly dismissed as no one would believe him as holy) as was Paul Newman and Stacy Keach approach for the role of Father Karras however, in the end Friedkin choose Jason Miller who made his acting debut in this feature. Even the role of Chris went through many possibilities, before Ellen Burstyn earned the role of a desperate mother, among those considered Shirley MacLaine (though she starred in The Possession of Joel Delaney (1971)); Jane Fonda, Anne Bancroft and Audrey Hepburn. In the end the cast we see in the film did a phenomenal performance. 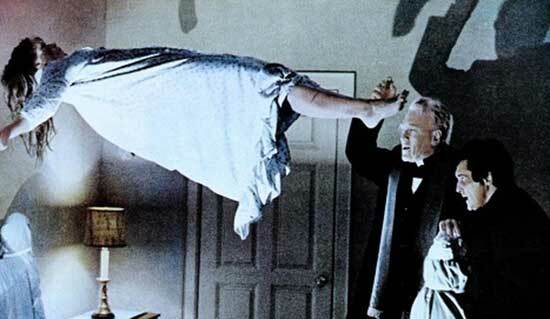 Is the film The Exorcist (1973) actually cursed? 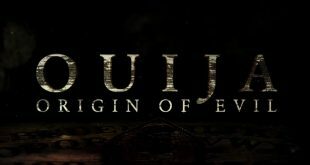 No, in my opinion it is not cursed, I think when a movie deals with very strong religious tones and the devil and demons it conjures the element of sinister issues. Yes, a fire did occur on set, a normal thing which happened to other films then and today, and Friedkin brought in a priest to bless the cast, crew and set. This latter element might serve to heighten the acting on set as well as good fodder for the media, as Friedkin known for wild antics on the set, he enjoyed taking a page out the Alfred Hitchcock book to manipulate the cast as well as the crew. In addition, while it’s true 9 deaths associated to the film, some were actor Jack McGowran, Max von Sydow’s close relative passed on, Linda Blair’s grandfather, and a guard on the set, but truly none of it attributes to the devil or a death curse. 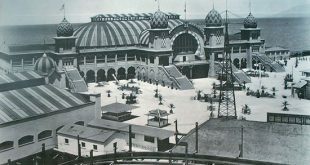 Therefore, deeper understanding, McGowran died on January 30, 1973 by influenza and others were family (personal) issues, and the guard employed by the studio, not on the crew list. The bottom line out of the crew and cast equals 155 people and 9 died which equals 6%, of natural occurring incidents. 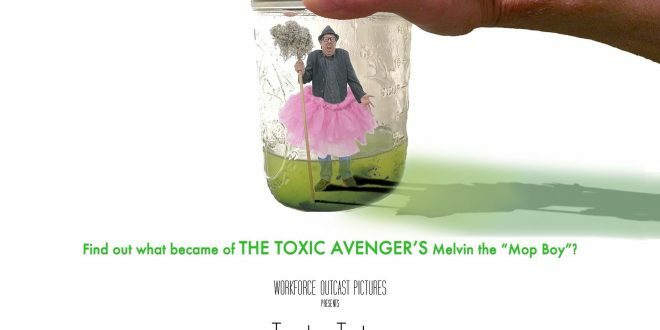 Is the film an insult to Christians? This actually is a highly loaded question, first many find films rather subjective in the nature, this movie involves questions of faith, such as Karras being the dutiful son, but places his mother in a hospital with the care administrated by others. Also, the highly contested topic of exorcisms themselves, to some the real power of God battle demons and others as myth or urban legends, however even in today’s society the Vatican is holding conferences to issue more priests for exorcisms. The movie never dismisses any Christian beliefs rather supporting them granting a feeling of strong convictions and credibility which often gets lost in many other possession films. Some viewers find the film reaffirming their faith and showing the vast evil forces in society and others dismissed it all for fiction and hint that Regan’s issues lay in abuse, it’s a fictional flick that allows anyone to infer what they ideally want from the film. Was the Exorcism in the film a failure? The overall intent to free the innocent of the demon, while achieved it resulted in deaths, and in devilish manner killing Father Merrin and unbeknownst to them, Karras, at his own crisis of faith, feeling guilty about his mother, and perhaps as a fraud of what he preaches. Even Father Merrin casts him out of the room, as he knows how vulnerable he is to the exorcism. When Karras see the mother’s tears, losing what little faith she had, he returns to the room a gleeful demonic Regan sits looking at Merrin’s lifeless body, he invites the demon into him. What demon refuses that invite, a priest, with conflicted personal issues, and then the controversary of what happened next. Likely, Karras regains temporary control, before the demon has him attack Regan, (note his eyes change color and his face contorts) and dives out the windows, falls down the legendary (most often visited) stairs, thereby granting a victory to God over Satan. The demon, leaves the child for a more worthy prize, a priest! A heavily dismissed theory, involves Karras dying by accident, he falls to his death, by failure to casting out or throwing the demon of him, but where would this entity go, back to Regan (weakened from the spiritual battle), someone else in the home, a desperate Mother, endless possibilities. So, where’s the controversary, well it’s twofold, first suicide, in Catholicism a sin [before the Second Vatican Council, some still disagree with their decisions], with no ability to grant their way into heaven, although, self-sacrificing oneself for the greater good of others becomes a muddled mess. In addition, and more important, it’s not the word of Jesus or God’s power that frees the Regan, rather a Man, a Father, mere mortal using his mind, emotion and abilities to defeat the demon. This infers that a human did not need the Lord or righteousness to defeat Satan. However, many come to believe Karras commits what some critics call “demonicide”, he instantly restores his own faith. Did the film The Exorcist (1973) win any Oscars? Yes, out the 8-nominated categories, it won in two, for Best Writing, Screenplay Based on Material from Another Medium was William Peter Blatty and the Best Sound Robert Knudson and Christopher Newman, it was the first horror film nominated for Best Picture. Why was the Spider Walk scene deleted and did it have any impact in the horror cinema? First Friedkin, thought it took away from the claustrophobic horror of Regan isolated in one room, and that no way to remove the sight of the wires at the time, remember well before for digital effects of today. A real contortionist/ stuntwoman Linda R. Hager filmed the scene on April 11, 1973 using a harness and wires, years after the removal horror magazines such as Fangoria began to circulate the rumors of its existence, Friedkin denied the footage, but in the 2000 version it reappeared, and claimed fully intact, whether that’s true no one knows for sure. It most definitely had an impact, however these twisted feats of human abilities nothing new, and recalling the infamous Freaks (1932) had plenty of real individuals doing things unbelievable. 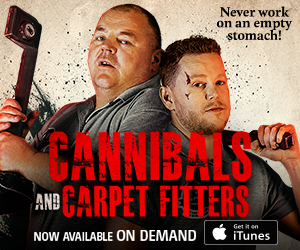 Nevertheless, those about to bend over, twist like a pretzel, appear like a human Gumby, always-fascinated Horror Directors, disgust, and unsettle audiences. John Carpenter’s strange In the Mouth of Madness (1994) a girl walking on all fours with a twisted head and The Last Exorcism (2010) a girl bent over backwards in the barn. Lastly, for good measure here’s a list of flicks suffering of this impact, using both special actors and CGI creations The Ring (1998); Mama (2013); Exorcist III (1990); and Exeter (2015). 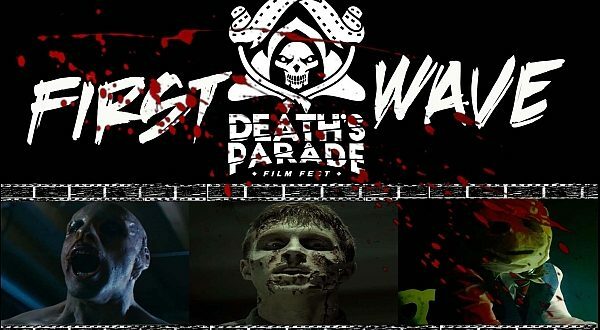 What is a unique aspect of this film? That actually comes from Max von Sydow, who portrayed the character of God in The Greatest Story Ever Told (1965) then portrayed Father Merrin and then the Devil in Needful Things (1993), only a few actors played the two spiritual forces. 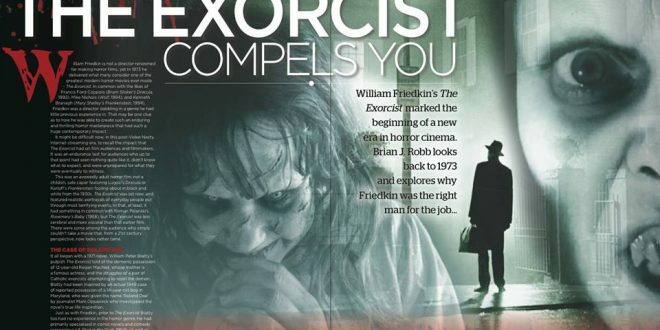 Did The Exorcist (1973) film lead to a Franchise? Quite a bit, first 2 sequels and 2 prequels and a TV series, those were Exorcist II: The Heretic (1977), The Exorcist III (1990), Exorcist: The Beginning (2004), Dominion: Prequel to the Exorcist (2005), and The Exorcist (2016) TV Series. But it went further aided by the music industry with regard to the reference to ‘Captain Howdy’ by first Twisted Sister then later covered by such bands as Broken Hope, Lefay, Suicidal Winds, and Mortuary. However, some black metal bands took it to another level, such Marduk’s F*** Me Jesus (a track referencing the Regan masturbation scene with the cross), and death metal band Abaddon’s Merrin the Exorcist and lastly a very good metal version of Tubular Bells by the progressive metal band Strings of Chaos. Nevertheless, the toy/collector companies Entertainment Earth and Mezco Toys both brought many variations for the fans to enjoy. What other symbolism occurs in the movie? Aside from the flashings of the white demonic faces and Pazuzu, other elements come from early in the film, with the metal clanging generating a rhythmic warring tempo to a young boy walking by the bar/ restaurant where Merrin seated with a sign at a particular angle displaying a red figure. The legendary scene of Merrin’s arrival inspired from a series of paintings called ‘Empire of Light’ by Rene Magritte, he’s bathed in a mysterious glow, upon entering a howl cries for Merrin. Some consider the scene to reference the demon casting light upon his opponent as if it’s a title fight, however I infer its more as God’s Light casting through the darkness showing Merrin the room in which an innocent child needs his fatherly duty. 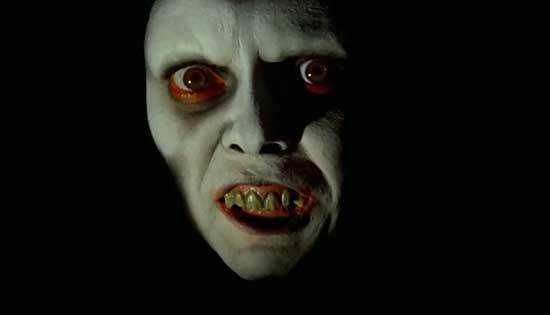 Of course, the image of Pazuzu in Regan’s bedroom as she claws upward showing who’s in control and ready for battle. Another subtle point often overlooks the term of ‘Father,’ Regan, without hers, a broken home, a demon knowing worldly and carnal knowledge wanting to lead, and Fathers Karras and Merrin, sworn a pledge and duty to protect the innocent, leading them to righteousness and battle the evil. What desecrations directly affected many Christians in the audience? More of the desecrations actually surfaced in the novel than on the screen, and likely doesn’t shock the viewers, showing the devil/demon has no boundaries, the sanity of the Church Grounds doesn’t bind him, he can travel anywhere at any time, the church to houses religious items, but maintained by mere mortals open to lusts and sins. Therefore, the Virgin Mary to some a form of idolizing statues a forbidden rite, already problematic, although to Catholicism, in the film not clearly linked to anyone, aside from Lt. Kinderman (Lee J. Cobb) questioning Karras, and later Chris concerning Denning’s death. Although another option exists, Pazuzu indirectly making the Virgin Mary into a whore, enlarge protruding breasts and a phallic symbol like that of Pazuzu’s serpent genitalia. As for infamous crucifixion scene with Regan, this goes much deeper, first to answer the question of where the cross came from, it originates likely from downstairs, last seen on an end table in foyer area, Blatty commented Karl (Rudolf Schundler) moves it to Regan’s room for her protection. Although later Regan uses it to violate herself and escalate it lesbianism acts to her mother and the most blasphemous language. This scene terrorized many audiences in the early 1970s, sending them fleeing the theaters. 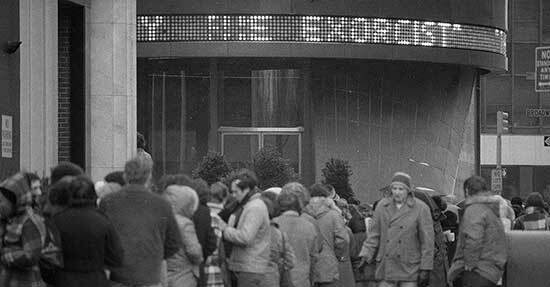 Will this film, The Exorcist ever be forgotten? It is always difficult predicting what will become the next phase in the horror genre, but with upmost certainty this movie, will live on for decades, the articles and books on it carry incredible weight. battle All sorts of cinema fans discuss the significance of the movie both from an entertainment and storytelling back ground to the religious aspect. In 2010, the Library of Congress added the movie to the National Film Registry, as an important contribution to the arts. From a financial benchmark made for $12 million and earns $441.3 million in 1973 on fewer screens than today’s blockbusters, if adjusted for inflation the worth rises to $2.3 billion!